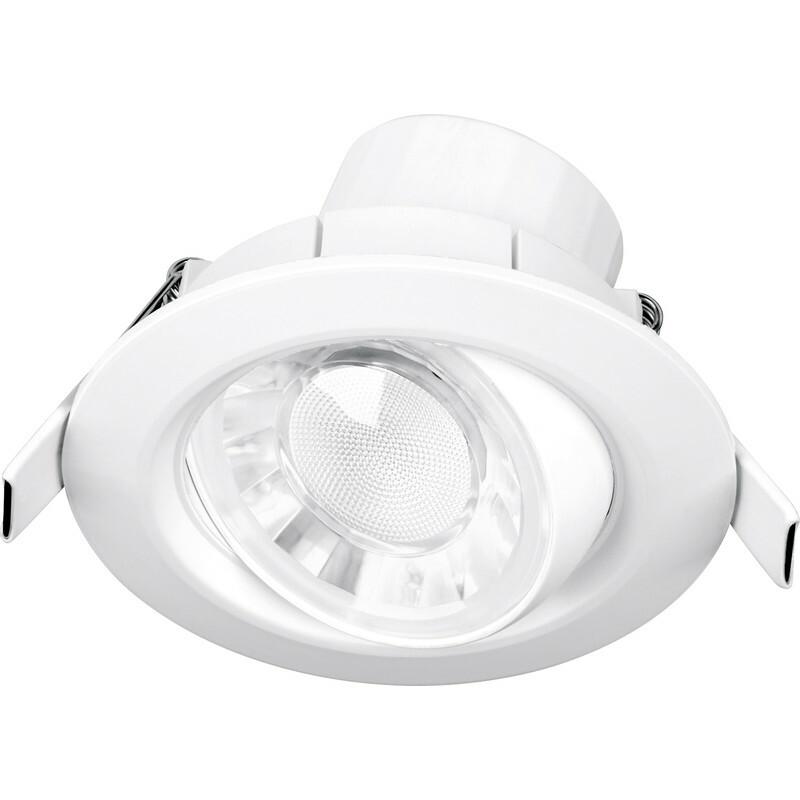 EnFiniti™ creates low glare halogen like appearance. Compact integrated driver for easy installation and low ceiling voids. Ideal for corridors, bedrooms, dining rooms, lounge areas and zone 2 of bathrooms. Enlite Spryte 8W Adjustable Integrated Dimmable LED IP44 Downlight Warm White 550lm A+ is rated 5.0 out of 5 by 7. Rated 5 out of 5 by Wilf 334 from Just the ticket Used these in my bathroom refurb. All plastic construction so no corrosion. Not fire resisting, but no problems here as fitted into a sloping roof area with very shallow access. able to tilt them so light was horizontal and light output excellent. Come with fly lead which is easily fitted to a down light connector for easy disconnection for insulation testing in future. Rated 5 out of 5 by KG899 from Simple to fit, great in use! Reasonably simple to fit, look great, perform well. Good value for money. Rated 5 out of 5 by KG899 from Great spec, Looks great Bought to replace halogen bathroom lights. 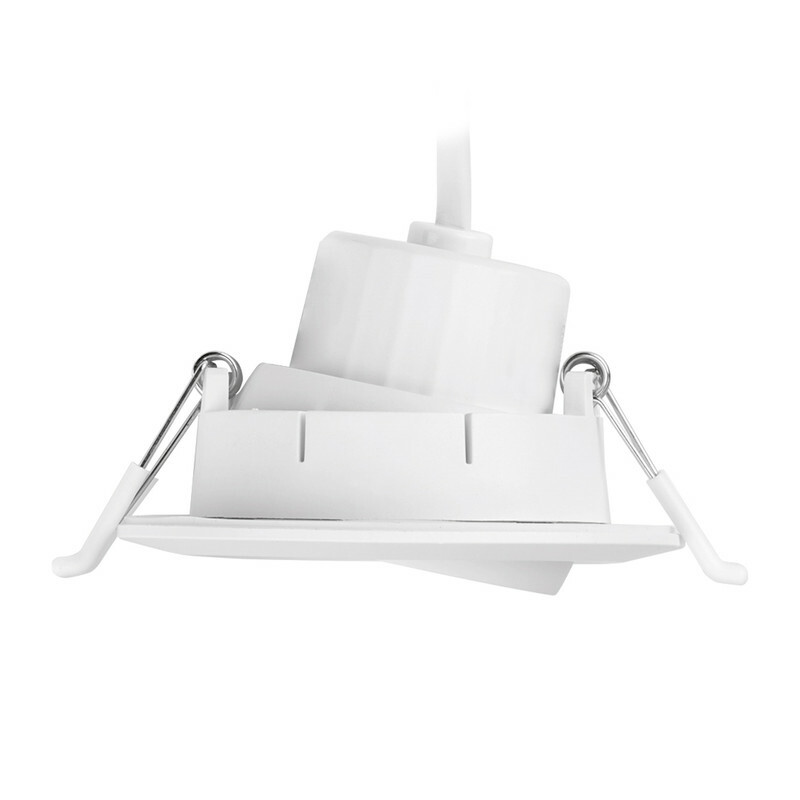 Easy to install, perform well, dimmable so ideal for our use. Rated 5 out of 5 by Lugdigger from Much brighter/better than expected Used 2 of these in sheltered soffit to light entrance door and patio. Much better than 4 off 20W M11 lamps. Well satisfied. Can't reliability as just installed. Rated 5 out of 5 by Anonymous from Nice little lights, look great! Good price. Bought for internal office, checked a few sites including electrical wholesalers these are about the cheapest in price out there. Great value! Rated 5 out of 5 by Freddy from Nice light Bought 4 of these for a kitchen. Easy to install replacing 12v units (rubbish from Band Q). Bright, with a good amount of angular adjustment.